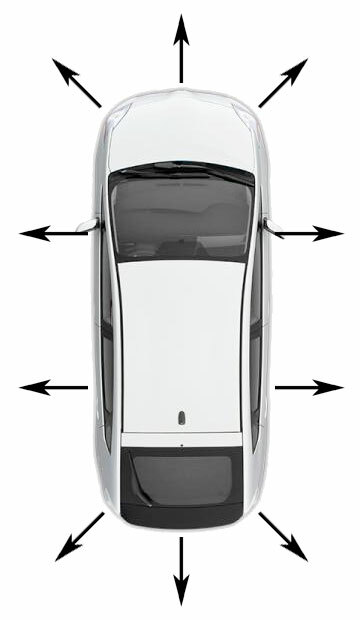 Why don’t modern cars have more external sensors? Sure, some minvans have backup sensors so it beeps if you’re about to run over little Timmy, but it seems like sensor technology hasn’t gone anywhere in a long time. Why not a series of like 8 sensors arranged on the outside of the car, with a range of like 4 feet or so? I’m not sure the best sensor for the job, perhaps a laser tape measure type device, it just needs to return a reasonable directional distance to large objects. 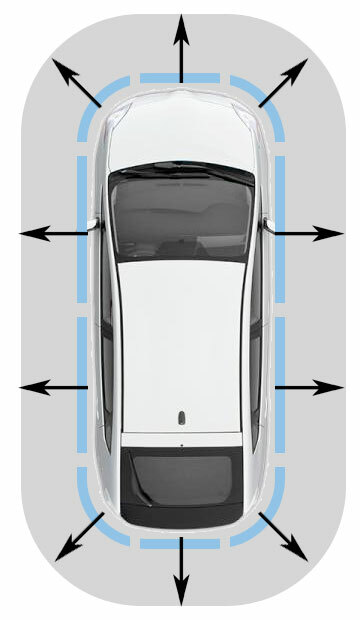 This would give you a rough sensor sweep of the car’s immediate surroundings. You could sort of visualize it in a force-field style display. 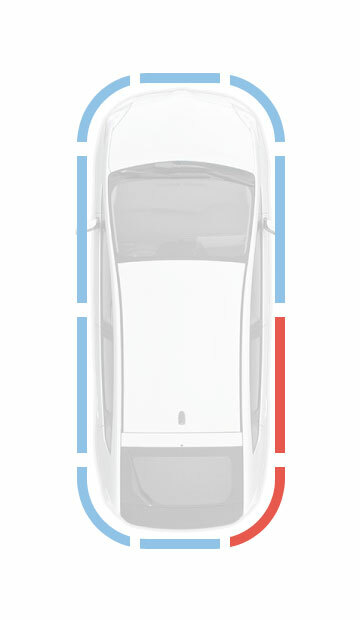 If a car or other object triggered the sensor’s proximity radius, the indicator would change color. On the dash it would be a simple display, much like the door-open indicator on some cars. 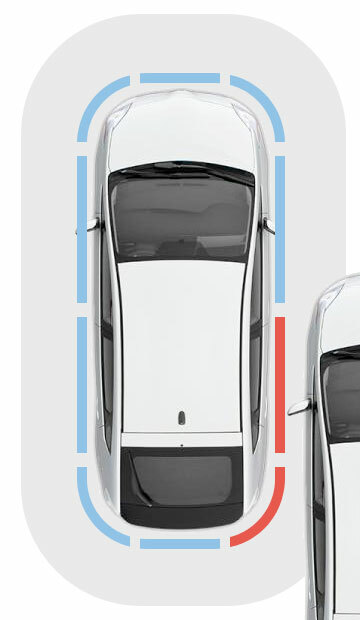 This would not be a replacement for mirrors or anything, you would not rely solely on this indicator, but it would be an added safety mechanism to alert you to pay attention to that area, in case you didn’t know there was a car there. 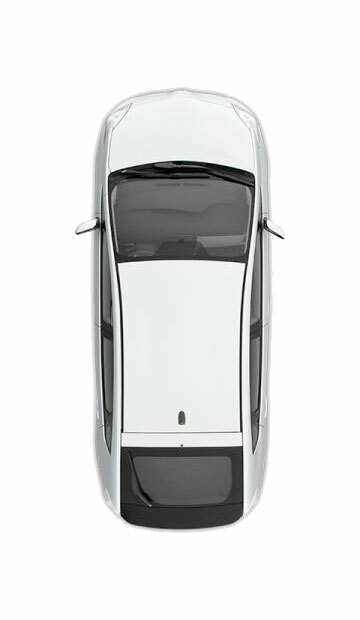 Another similar idea, but one that might be more distracting, would be a roof-mounted camera system that would provide a composite overhead view of your car and the immediate surroundings, so you could tell at a glance if there were a car in your blind spot. Yesterday I sold some Apple stock I had purchased. It worked out well for me, I bought it when the economy was shaky and the stock market in shambles, it cost me $85 a share. Now, a year later, I sold it for $199 a share. So I made some money, not a huge sum, maybe $3K after taxes. It got me thinking about the nature of money. After all, what had I done here? I had clicked a mouse a few times, waited a year, and clicked a mouse a few more times, resulting in almost doubling my money. It was very little effort, and a very abstracted process. Now here’s the thing – the amount I made was based on the amount I had initially. If I had millions, I would have made millions. It had nothing to do with skill or work, it was based entirely on what arbitrary amount of money I had to begin with. There is a sort of snowball effect that happens, the more money you have, the easier it is to make more money. It reminded me of playing World of Warcraft three or so years ago. When you start playing in WoW, you have a low-level character. Tasks you do and enemies you defeat don’t give you a lot of cash, so you earn copper and silver. For a low-level character, getting a gold piece is a big deal. I never played long enough or hard enough to build a high-level character, but built up to something like level 14 and ended up playing the auction house. The auction house is essentially like an in-game eBay – you can put items you have found up for auction, set a price and an end time and then people can bid on them. I used a plug-in someone had written (legal in the game) which monitored the market, and tracked the going rate for each item. I would then look for items selling below market value, buy them, and sell them for a competitive but profitable price. Out in the wilderness, my character had to fight monsters and save up meager coins to buy slightly better weapons. At the auction house, a little buying and selling made easily more profit than fighting monsters. And the more money my character had, the easier it was to get more. There was a leveling-up effect to trading – at first I could only afford to buy and sell cheap items, but then finally had enough cash to buy and sell some more expensive items. Eventually I moved from selling things worth silver to things worth gold. Suddenly, the gold that was hard to come by in the wilderness was flowing to my character with relative ease. I eventually stopped playing WoW, as it was eating up a lot of time. But it had been fun while it lasted. What it had done is made true for me an old adage, “the rich get richer”. Money these days is such an abstract concept – with direct deposit and debit cards, we often never even see it in physical form. What’s interesting is that there is little difference conceptually between money in WoW and money in the real world. They are both abstract representations on a computer somewhere. The difference is that people have agreed that virtual dollars can be exchanged for goods and services, while virtual WoW gold cannot. Even that’s not entirely true, black markets exist that sell WoW gold for dollars, allowing conversion of one virtual currency into another. I think this is part of the mentality of the rich, being able to deal with money as an abstract, to treat the system as a game. Personally, I fall somewhere in the middle, not poor but not rich either. I can think of an investment as a game, but at the same time, I have a mortgage to pay every month, and food to buy. People are always talking about some “get rich quick” scheme, but the sad truth of it is that most of the time, “get rich quick” schemes only work if you are already rich. Even if you can double your money, it doesn’t amount to much if you only had a small amount of money in the first place. Meanwhile, someone who is rich can earn an 8% return on an investment and make more than a pile of poor people do in a year. It’s a disparity that’s a side effect of the capitalist system as a whole. The thing is, poor that decry this system usually support it at some level, because they see themselves as someday achieving wealth and getting their “piece of the pie”. It is often a complaint of envy, not of justice. They don’t object that the rich exist, they object that they are not rich themselves. I find the whole thing very interesting, and sad in some ways, but don’t have any solutions to offer. Alternative systems like communism tend to fail for the same reasons, corruption and the rich using influence to get richer. Anyway, just something I was thinking about the last day or so.